Here is a pattern for a 1950's style apron. 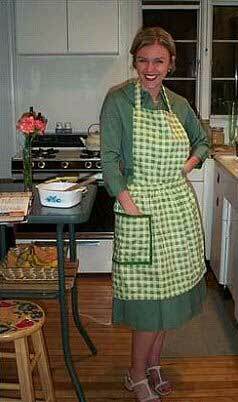 This is a full apron with a pocket, and it ties in the back. Dress up a little for company by wearing this attractive apron while cooking.